Make up auditions will be held on May 23 at the Ogden Studio, 2761 S 1900 W, Ogden. 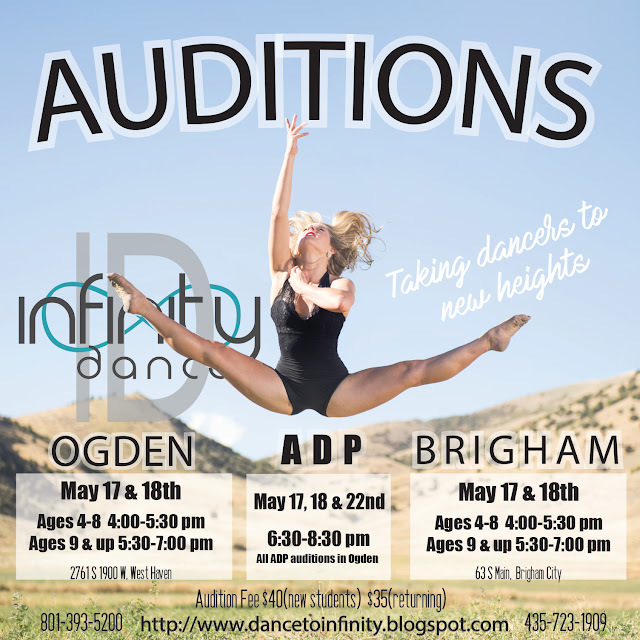 Dancers wanting to attend either the Brigham or Ogden Studio should attend this night. Audition forms and team requirements will be available for review at the clinics. If you are auditioning for an ADP team placement, a video submission of a solo performance is helpful for consideration, in addition to attending the make up audition session. 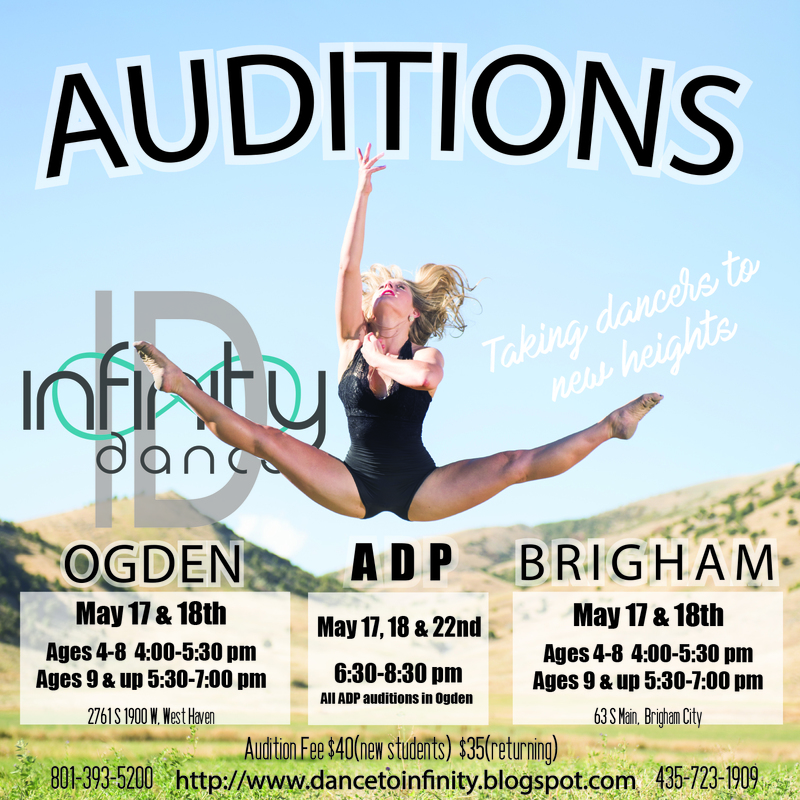 E-mail video submissions to infinitydanceinfo@gmail.com 24 hours prior to auditions. JeriAnn will again be offering a Mini and Junior ITC Comp Class at both the Brigham and Ogden Studios. Dancers with 1-2 years of experience and interest in an additional technique class and one competition can contact the office to be added to the list. Classes will begin in the fall. If anyone has an extra pair of Adidas in their bag from Monday night tryouts Paige is missing hers and would love to get them back! Thanks in advance!